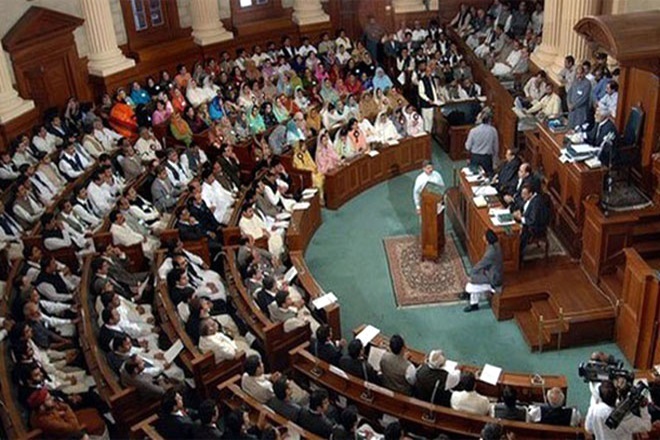 LAHORE: Pakistan Muslim League-Nawaz (PML-N) lawmaker in Punjab Assembly Rabia Nusrat on Thursday submitted a resolution seeking the enrollment of children of all parliamentarians and government officials to public sector institutions in a bid to improve the quality of education there. “The president, prime minister, all parliamentarians, government officers and officials should be obligated to get their children enrolled in government-run schools, colleges and universities instead of private ones so that the quality of education can be enhanced and the masses can be relieved of private institutions’ high fees,” read Nusrat’s resolution. It further suggested that any lawmaker or government servant, who did not comply with the orders should immediately be relieved from duty. It merits mention here that the resolution comes a day after Punjab Schools Education Minister Murad Raas said that the Pakistan Tehreek-e-Insaf (PTI) government was committed to improve the quality of education at government schools and make them better than private educational institutions. The minister had said that government school teachers were getting better salaries and facilities as compared to their counterparts in the private sector and so their responsibilities were manifold.